Grow, Cory. 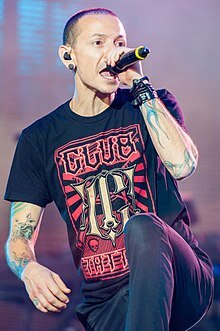 "Chester Bennington, Linkin Park Singer, Dead at 41". Rolling Stone. 喺July 20, 2017搵到. "Linkin Park's Chester Bennington dies". BBC News (用英文寫). July 20, 2017. 喺July 20, 2017搵到.